Happy Wednesday and first day of fall dolls! Sorry about my absence yesterday, some days you just need a day off to recoup and recharge and that is exactly what happened to me. I have been exhausted lately between work, my commute, going to the gym, getting everything done around the house and my social life that I just needed a little "me" time. Speaking of "me" time, one of my favorite things to do when I have the house to myself is to try at home beauty routines. As I've gotten older I've learned that my mom was right (yes, mom, I said it... you were right) and I need to take better care of my skin. I've tried multiple serums, moisturizers and masks looking for that "holy grail" of skin care and by George I think I've found it. 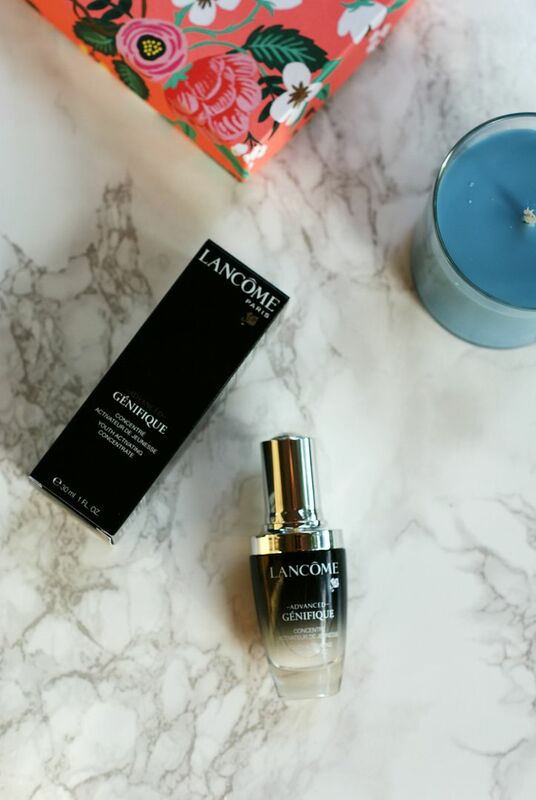 After reading about Princess Kate's skin care regimen I decided to seriously look into the Lancôme Advanced Génifique which is one of the products she uses. Because let's be real, the organic bee venom facial is definitely not something that sounds too appealing to me. 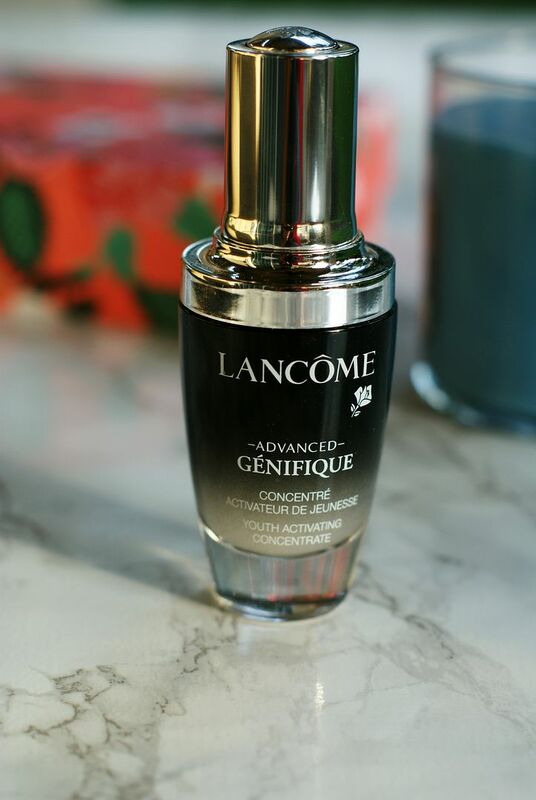 I had heard amazing things about the Advanced Génifique from other bloggers as well as multiple magazines so I figured why not give it a shot even though it's pretty pricey. But I've definitely learned in life that you get what you pay for. And if it's good enough for Kate, it's good enough for me! 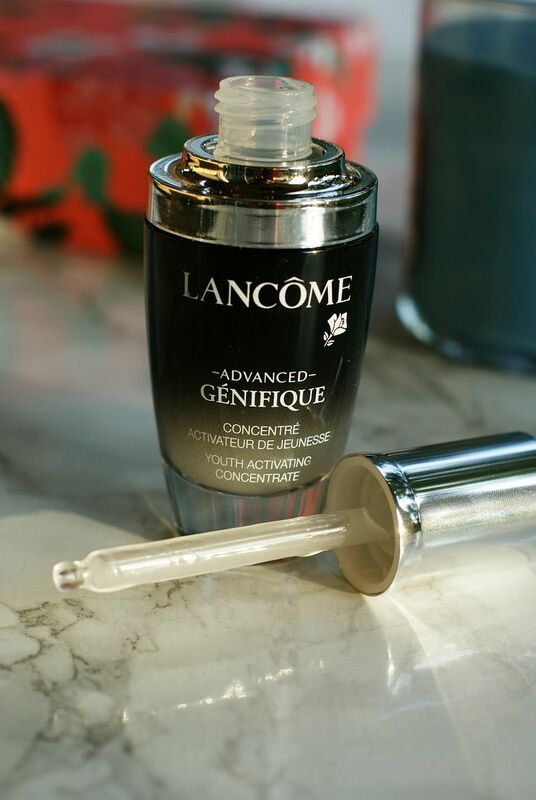 The Advanced Génifique is supposed to be a powerful anti-aging serum that is supposed to act on 10 key signs of youth including texture, resiliency, elasticity, firmness, sagginess, fine lines, wrinkles, radiance, clarity, and skintone. I'll admit, I was hesitant at first but thanks to Sephora's amazing return policy I knew I had nothing to lose. You're supposed to use the Advanced Génifique twice a day, once in the evening and once in the morning but since my skin is so sensitive I decided to start with just the evenings. After the first day I didn't notice a huge difference (or any difference at all) but I kept with it trying to remember that nothing works that fast. After about a week I definitely started to notice a change in my skin's overall softness and in the size of my pores. Noticing even a small change was enough to keep me trying it so here we are, a month later. Overall I can honestly say my face feels and looks smoother, my makeup goes on more flawlessly and while I still have my tiny wrinkles I have noticed them smoothing out, and my face does feel tighter and more radiant. I have had my ups and downs with the serum though. I've gotten the occasional pimple where I've never gotten a pimple before but luckily I haven't had any major breakouts from it and the few pimples I have gotten haven't been unmanageable. Very rarely do you find a product that claims to do multiple things in "x" amount of time that actually live up to their claims but I'm pleased to say that the Advanced Génifique definitely does! Completely understand needing a day off! I am asking my dermatologist when I go if I can implement this stuff into my routine because I definitely need it! If it's good enough for Kate then who am I to turn it down?! Take those days off when you need em, lady! If it's good enough for Kate… that made me smile :)! It's all about prevention right? I have my little army of creams every night and when I don't think they are working, then I miss a night and I'm like....yup, definitely can't skip! Thanks for the review definitely need to pick that up! You have me so intrigued about this! It sounds awesome and like you said, if it’s good enough for Kate it’s good enough for me! Oh, what a great product! I'm noticing little wrinkles so this would be perfect to try. Well if Princess Kate uses it! I actually have also heard great things about this product and you definitely sold me on it! i need to try this. lancome is another brand of mine, so no doubt this is good. I received a free sample of this with one of my Lancôme purchases and loved it! I cannot believe I'm going to admit this but I have received so many samples of this stuff and have always passed it on. I didn't think I would like it so I didn't even bother trying it. Now, everyone is telling me how good this is and I'm kicking myself for giving every sample of it away. I mean at one point I had like ten of them (deluxe size). How foolish am I?? That seems great! Even better that it can help smooth out wrinkles! This sounds pretty awesome! I have been loving Lancôme products lately! 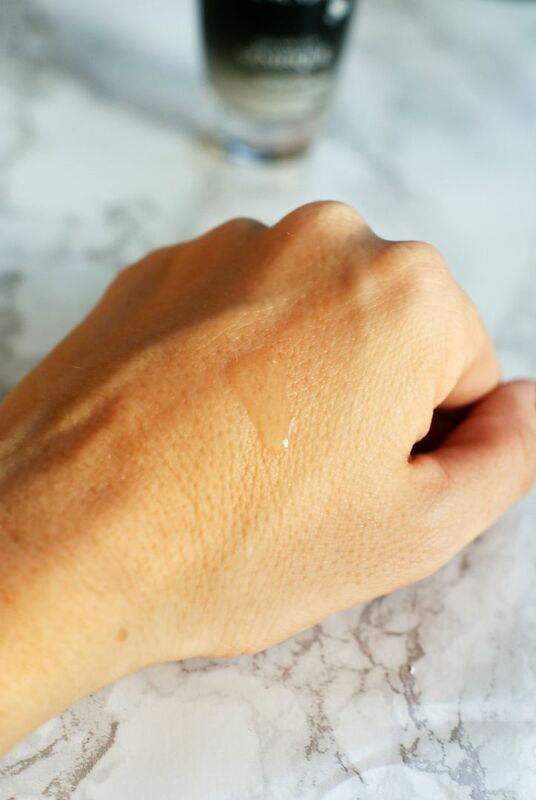 Does it make you oily when you use it in the morning at all? That's always what makes me nervous! Sounds pretty awesome! I haven't used a serum on my face before. So you find it minimizes pores? Ohhh this looks fancy and nice. I'm like you, I'm trying to be better about treating my skin and body right - I need to check out this serum. This looks great! I love a good serum. I just started using the Bobbi Brown Intensive Serum Foundation and I've gotten the most compliments on my skin! Glad someone else has the same motto in life as me - if it's good enough for Kate, it is for me, too! Ha! This stuff sounds amazing - I need to get better about using serums, so maybe I will give this one a try! oh how wonderful! i probably need this! ha! if it's good enough for the duchess... you know! I love lancome!! I didnt know Princess Kate uses this stuff! I bet sales went through the roof when she announced that! You have to start preventing so far ahead! I have to check this out! I love a good off day - nothing better than feeling caught up on life! If Princess Kate uses it then sign me up! I think I am with you on the whole if it works for Kate thing! I used to love Lancome stuff and it was all I used for the longest time. I have gotten away from it over the last 5-6 years but I think I need to look back to them! Anything that can show results in a month is worth it! I've been so curious about this stuff. I got a sample that I have yet to use because I'm afraid I'll get hooked on it and it's so darn expensive!!!! Like you said though, sometimes you really do get what you're paying for. So glad to know that this actually works! Lancôme products are great but can be pricey. I don't mind paying for something if it works! This sounds like a pretty great product overall! Thanks for sharing your review!